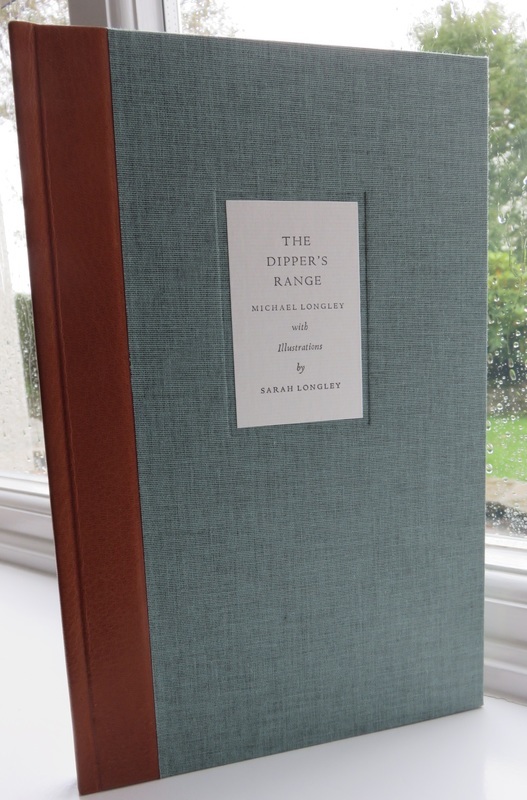 The Dipper's Range features twelve new poems from Michael Longley. Each poem is illustrated by a pen and ink drawing by Sarah Longley. The book was published at the end of October 2016. For more information please contact me. 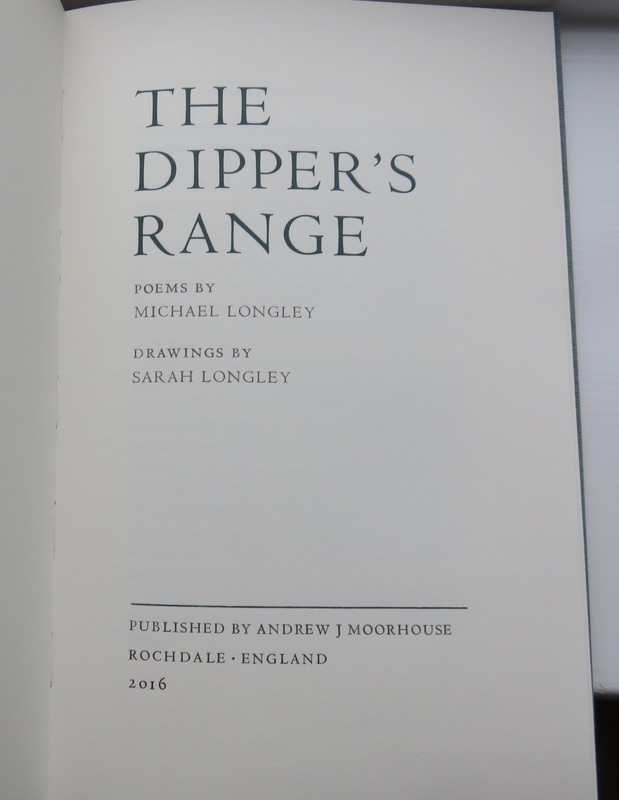 ​As a precursor to the publication of The Dipper's Range I have produced a broadside of the title poem. Whilst not shown in this picture each broadside is signed by both Michael and Sarah. ​The broadside can be purchased for the price of £15 +p&p. The edition is limited to 75 copies individually numbered and signed by both Michael and Sarah. The deluxe edition features the standard edition housed in a slipcase and is limited to 26 copies lettered A to Z, all signed by both Michael and Sarah. 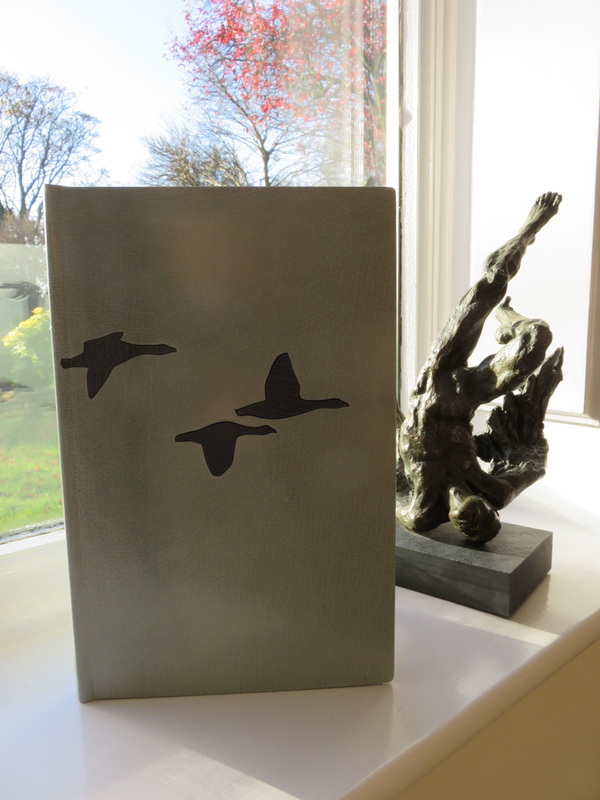 The presentation edition features a leather bound version of the book housed in a Solander box and is limited to 5 copies numbered I to V, each signed by both Michael and Sarah.